Discussion in 'Guitars in General' started by Tinman, Sep 8, 2008. Does anyone have one, or has anyone made one? I know that most pine Teles are made from sugar and white pine, but I just acquired a nice piece of ponderosa pine that's just begging to be made into a Tele. I don't want to waste my time on something that won't sound good. Any input is appreciated. Yes, I did a search, and yes, I read the Pinewood Derby thread. Thanks. I know some of the pine bodies Chris & Rich Rice have made were not sugar pine. Either of them ought to be able to help you out. Thanks g, but I don't know if if it will be a build yet. Anyone else? I remember reading that the original prototypes that Leo had made were Ponderosa Pine. A species of pine favored by pattern makers. I wonder how those prototypes sounded. Pattern makers like sugar pine too. I have a couple of Ponderosa pine teles. They're not completely done yet, but have been assembled and played. Ponderosa is slightly heavier and just a bit warmer than the (sugar?) pine that Guitar Mill uses. Not a significant difference. 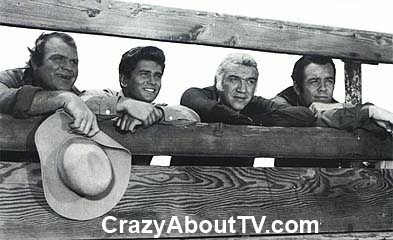 Ben and the boys like Ponderosa pine!. Sam Evans of Cardinal is making one right now, taken from the exact measurements of a pine Fender -- I don't recall the exact story, but I know Sam would be happy to talk about it. Woah! Zombie thread! Well, despite the lack of many responses, I went ahead and gambled on Ponderosa Pine. Here are a couple of the results. I have enough wood left for five more one piece bodies. The two Teles I made from this wood are stellar sounding. The Mustang is pretty nice too, but its kind of a oddball. I have it tuned up a step and a half (G) so I don't have to use a capo in the band I'm with. Ponderosa and white pine sometimes refer to the same wood. 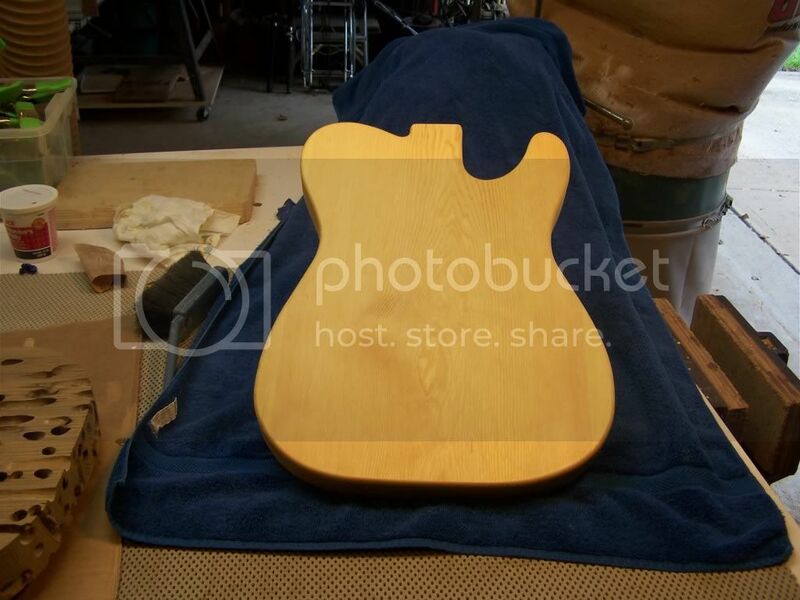 We're building a prehistoric Tele one-off ponderosa body for a friend. 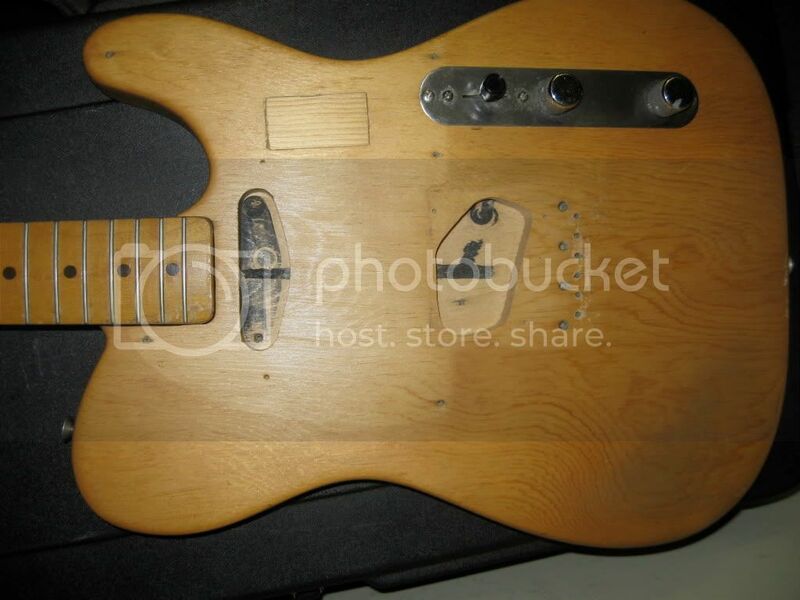 We spec'd the body based our own measurements of the Tele proto pictured. No spam intended here. I posted the pics to show the tint of the old and new pine. The new one has one coat of shellac. Tinman, if you need any info from me for your body, I'd be more than happy to share. Thanks, Sam. Check the post right before yours. See it, and LOVE IT!!! Fantastic. Sam, that Tele has two coats of Garnet Lac and one coat of nitro. The Mustang has one coat of Super Blond and two coats of nitro. We'll varnish ours. The shellac/varnish combo should get pretty close to the prehistoric's patina. The color on that Tele is great! That's a great combo for pine. Instant patina. Do you brush the varnish? Sometimes. We may spray this. The person whom this is for is dragging their feet on a neck choice. Pop and I are chomping at the bit to fire it up. Woah! Zombie thread! Well, despite the lack of many responses, I went ahead and gambled on Ponderosa Pine. Here are a couple of the results. I have enough wood left for five more one piece bodies. The two Teles I made from this wood are stellar sounding. Now that I look closer I see that this thread was from 2008. I did a search on "Pine" and this popped up. I just looked at the date and not the year. Seriously cool guitars, BTW. You need to check out the Pinewood Derby thread, my friend. You'll be reading for hours.